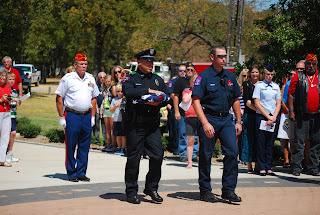 I was able to attend two different types of remembrances yesterday on the 10th anniversary of 9/11. 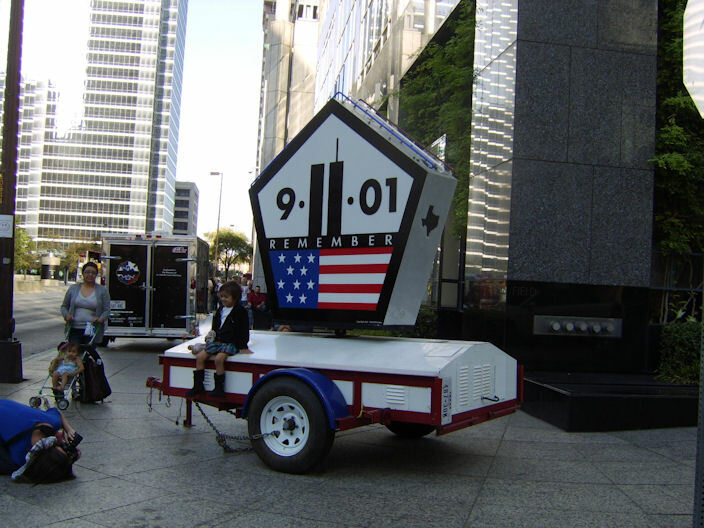 The first was the 9/11 Heroes run in Dallas, TX. The Travis Manion Foundation orgainized 5K races all over the country with a goal to never forget the sacrifices of all of the Heroes of September 11th — veteran, first responder, and civilian. 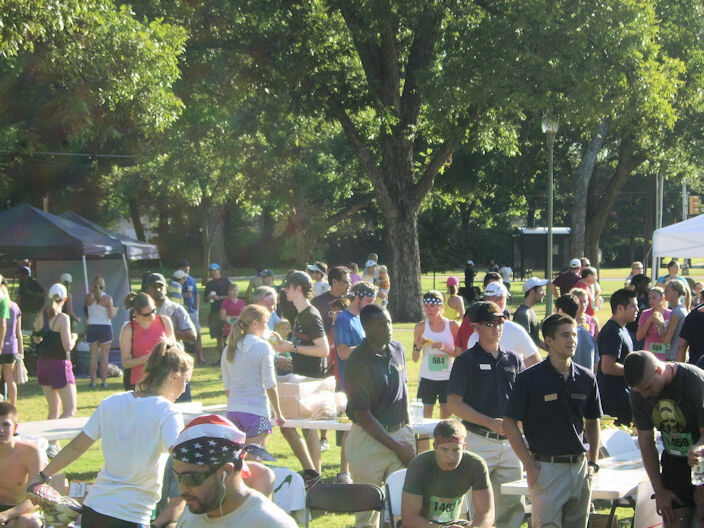 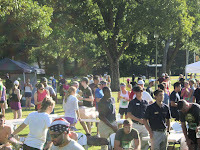 It was announced at the Dallas event that over 700 people had signed up for the run with 542 runners being timed. 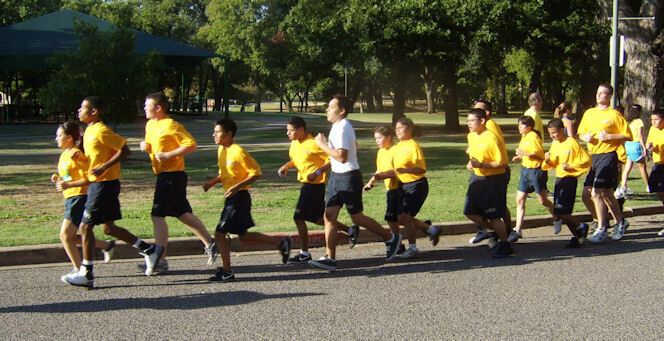 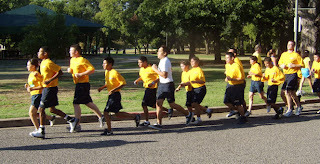 A Navy ROTC group finishes up the 5K race. 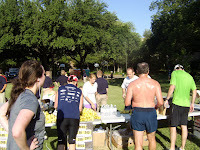 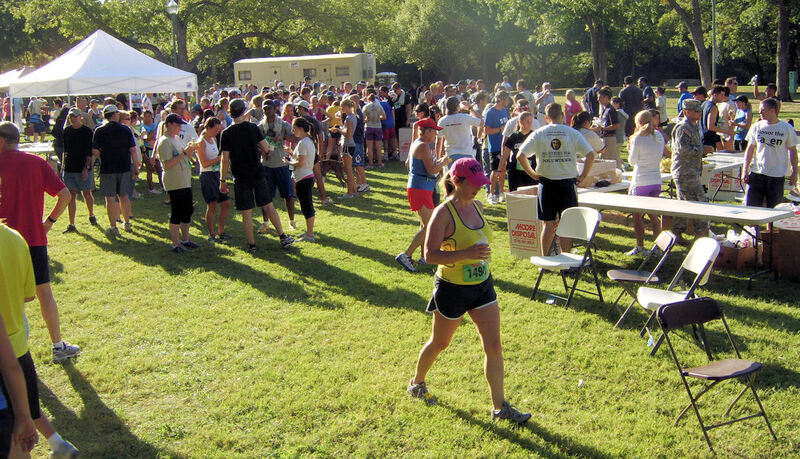 Runners enjoy snacks and water after the race. 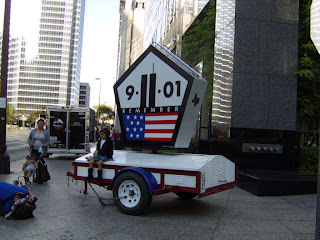 This was in downtown Dallas. 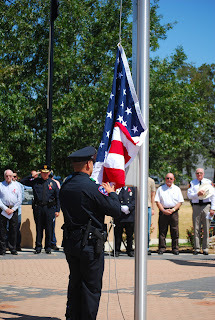 The second event was a 9/11 memorial service at the Veterans Memorial at Ben Gill Park in Terrell.